A Hand Quilting Blog is Born! Celebrate Hand Quilting is a brand new blog for hand quilters, and I’m excited to share it with you! if you have put the Celebrate Hand Quilting button on your blog, you are invited to be a part of the new site! When I get your email, I will write you back shortly with details about how to proceed. But you can start getting ready right away! Our first topic, which will run through the end of November, will be about hand quilting tools, meaning thimbles, gadgets, scissors, etc. 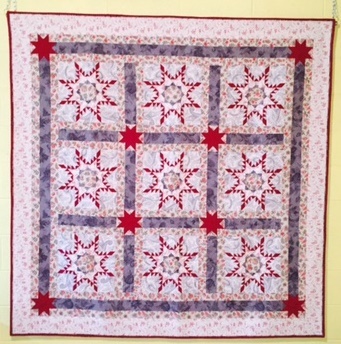 Please go visit the blog at http://celebratehandquilting.blogspot.com/ and look around. Then put your thinking cap on and get creative! Welcome to the world, little blog! Looks great, Caron! I am happy that you started a new blog, thanks! Hooray for you, I'll put my hand up for sure. I love to hear about all the tools, tips etc.